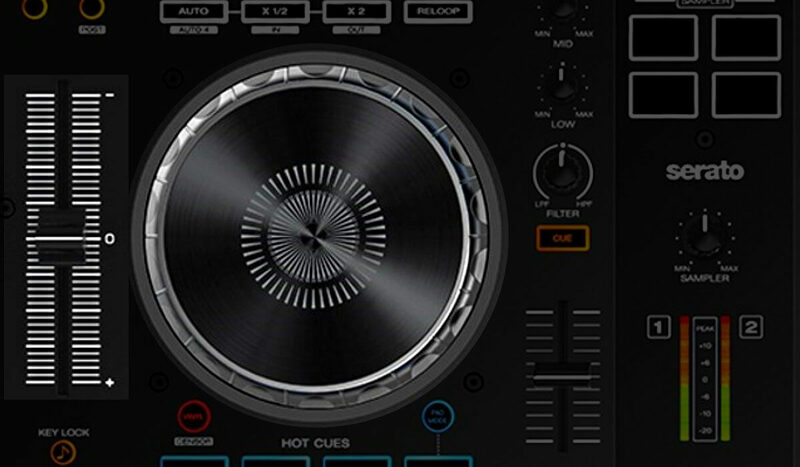 Bottomline: Well featured Serato DJ controller that will please mobile DJs on a budget! 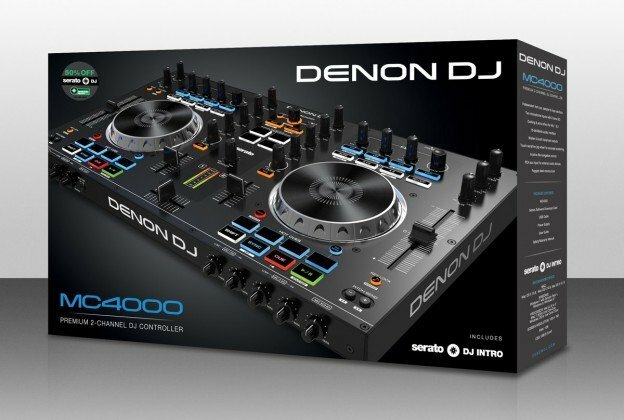 The Denon DJ MC4000 gives a solid impression right out of the box. The top plate is metal and although the sides and bottom of the controller are plastic, the weight and feel are quite “right”. 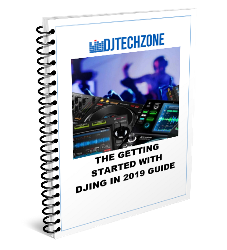 At the same time, its compact size will make it a welcome guest in most DJ booths, where space is usually limited. 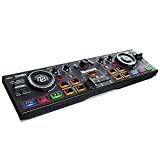 It’s clear that the target audience of this controller is mobile/working DJs. 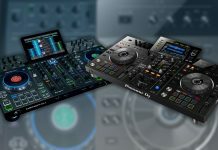 The numerous ins & outs and extensive microphone options are solid proof of that, but it doesn’t mean that the controller cannot please the bedroom DJ that gigs out occasionally. The controller comes with a USB cable and a power supply. 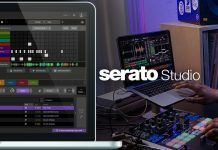 You will also find a coupon for a 50% reduction on Serato DJ, and that is a very recommended upgrade if you are a working DJ. 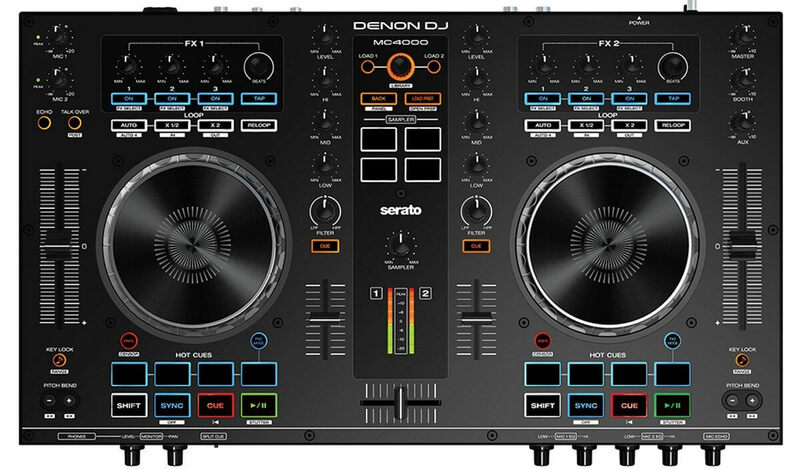 Let’s dive into the different features & functionalities on the Denon DJ MC4000. The controller has a full metal faceplate and feels really pro. First, a very noticeable thing is that the pitch faders (100 mm) are huge for this category. This will really please DJs that beat match manually by choice or by need (if you are a 70’s funk DJ the sync button will not be of much use). The jog wheels feel really solid and sturdy and have the right amount of weight to feel comfortable in use. No complaints there. Moving on to the transport section, the controller features 8 backlit pads that serve multiple functions. The top row function as 4 hot cues and the second bank of 4 hot cues can be accessed through the pad mode button. The same button gives also access to a cue loop mode and a loop roll mode. This last mode is the only way to have slip functionality when using the MC4000 since a dedicated slip button is not present. When you use this mode, each pad will perform a roll of increasing size from left to right, while the song will continue to play normally. 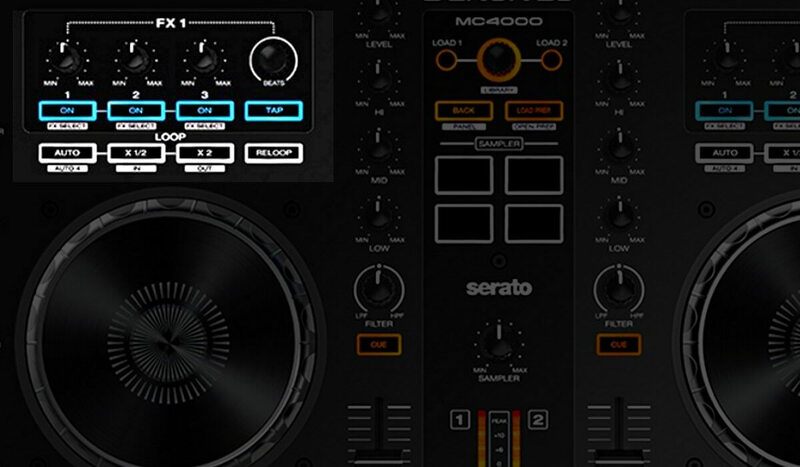 The FX/Loop section of the left deck contains next to the classic Serato fx knobs & buttons a very well laid out loop section, with the possibility to set an auto loop and buttons to decrease and increase the loop length by 1/2 beat. The loop length will be the one set in software and when pressing shift you can activate the manual loop functionality. Also present are the volume knobs for both mics and buttons for echo effect & mute. The front of the controller has knobs the control the EQ for both mics (low & high) and the amount of echo. The mixer is as said a two channel one and there are no smart hardware options to switch to other channels in the software. 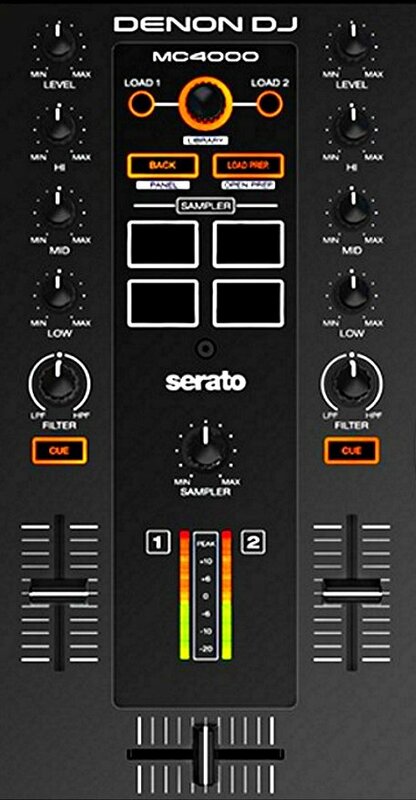 So if you are running Serato DJ, you are strictly limited to two channels. There are dedicated filter knobs, a three-band EQ, and gain knobs. Also present are 4 sample pads with a central sampler volume knob. This is a welcome addition for mobile DJs that often need to trigger one-shots during their sets. The VU meters are basic but functional, although it’s unclear to me what they actually show, the line levels or the master, or a combination of both? Lastly, the library navigation section is clearly laid out and won’t be a problem to manipulate in a dark club environment thanks to the fact all the knobs and buttons are distinctly lit in orange. Lastly, the faders. The line faders feel very pleasant and have this nice weight to them, that allows to smoothly fade tracks in and out. This is something that I notably miss in Pioneer controllers. The crossfader is loose and will for sure please scratch DJs. 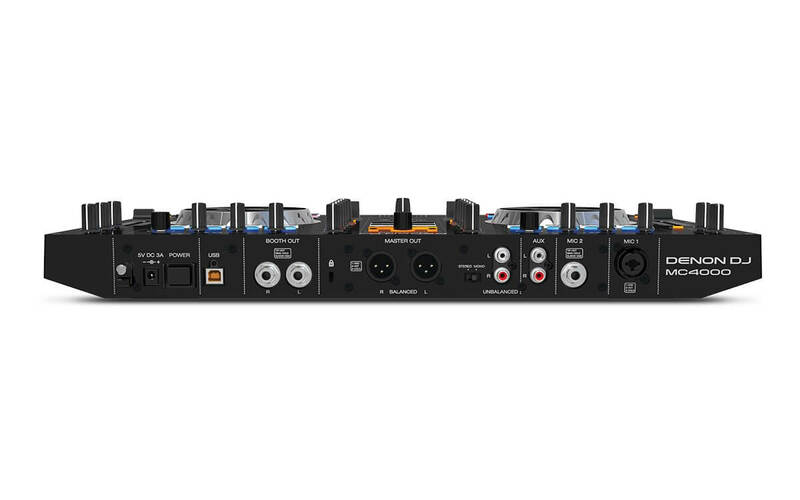 You will also find 1x TSR mic input and 1x XLR mic input. Finally, there is an RCA aux input that is directly routed through the mixer, bypassing the software which can be a lifesaver in emergency situations, such as a laptop crash. The sound card, which has 24-bit depth, sounds great, rich and loud. Overall, this is a solid piece of equipment and a very promising first outing by Denon DJ after being acquired by Inmusic. The future seems to look bright! 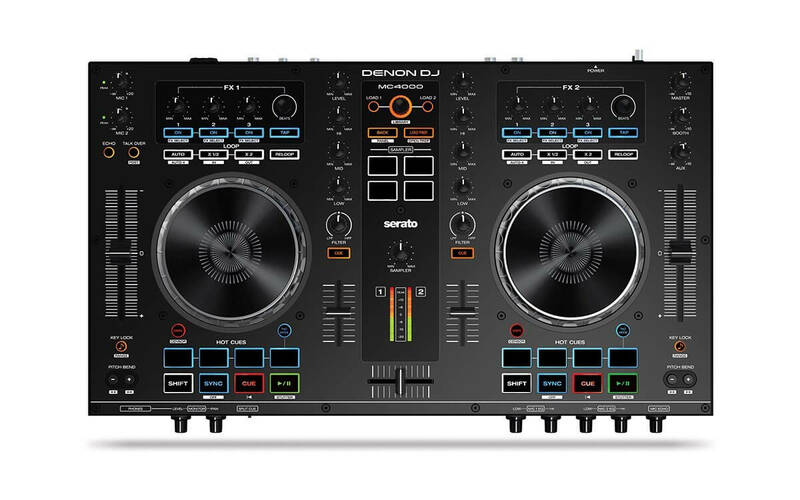 If you are looking for a controller that supports all the features of Serato DJ and implements all its functions (slip mode, performance pads, 4 channels…) you should look elsewhere. 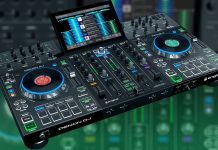 But if you are a working/mobile DJ on a budget and need a fully featured controller, that has all the features professional DJs need, such as microphone controls, multiple outputs, a pro-grade sound card and a solid build, this is definitely one of the best options on the market. Check out below my video review! 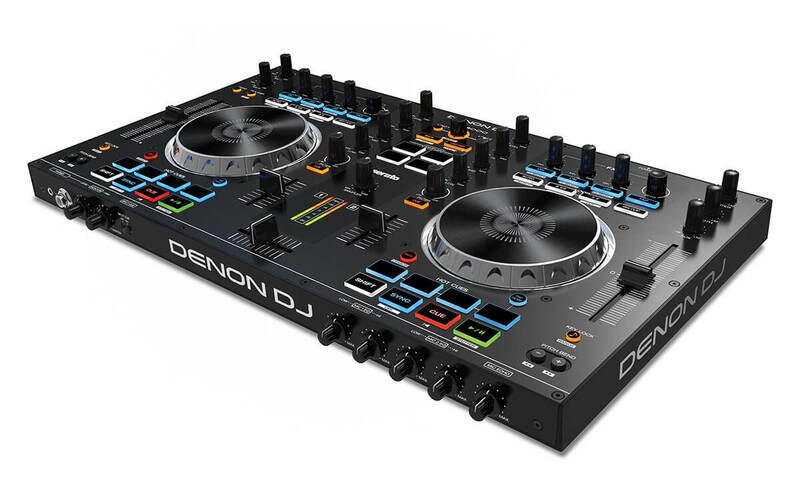 Great controller from Denon DJ, solidly build with all the features a mobile/working dj needs on the road. 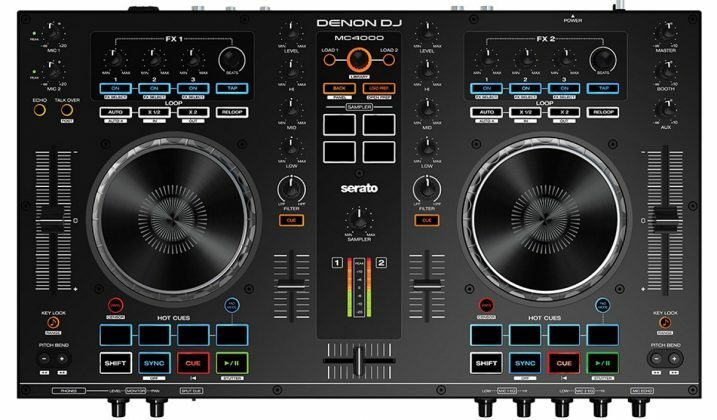 On the downside it doesn't have features like performance pads in the way other Serato controllers have, and some functions need a Serato DJ upgrade to work.